The Shakes (original name) officially began in a high school psychology class in 2009, when lead singer/guitarist Brittany Howard approached bassist Zac Cockrell to pitch the idea of starting a band in order to have something to do after high school was over. They began meeting after school to write songs, and before they knew it, they were in the studio with Heath Fogg on guitar and Steve Johnson on drums. They recorded a few originals as well as covers of Led Zeppelin, James Brown, Otis Redding, and AC/DC. They quickly began receiving notoriety for their 45-minute sets and the EP that was released. Then Jack White found them. After announcing that they would be opening for his tour, they were instantly booked on Conan and David Letterman, days before their debut album was about to drop. The snowball effect has recently seemed to launch their career, as they are currently one of the top selling albums, opening for Jack White’s tour, and listed fairly high on the bill for Bonnaroo music festival. Their influences are obvious, and the opportunity’s for comparison are seemingly endless. They sound like a stunning combination of most bands that were releasing music between 1962 to 1976. 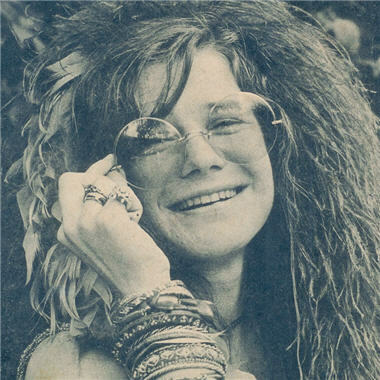 Brittany’s voice has some serious soul behind it, but can also get as bluesy and grungy enough to strike up similarities to Janis Joplin (although, Brittany’s voice is much smoother than Janis’ and is a bit easier on the ears). The music is also fairly easy-going and incredibly classic. Kicking off with “Hold On”, you become instantly drawn in. You immediately feel the genuine honesty in Brittany’s soulful voice. It’s a sound that we all recognize whether you listen to similar music or not. You can instantly begin singing along with this song, namely due to the long, drawn out chorus, but also because the familiarity with the tune is instantly imbedded in each and every one of us. You feel comfortable, relaxed, and know that you are in for a good time. It feels like a lazy summer day, in which you and some pals are just paling around, maybe sipping on some brews, until someone strikes up a good idea or prank to pull, and things begin to get carried away, and a bit reckless. It also sounds like it could take the place of Joe Cocker’s enamoring cover of “With a Little Help from My Friends” for the theme song to The Wonder Years (ok, that may be a bit over-the-top). Feeling all settled in and at home, you are now able to move on and enjoy the next 10 tracks. The album stays on pace until “Rise to the Sun”, where Brittany slows down just a bit, without losing our interest. She also throws out some lyrics that seem to be directed toward those missing home. “I feel so homesick/Where’s my home?/ Where I belong?/Or I was Born?/I was told to go where the wind was blowin’/And it blows away!” The way she belts out “away” will give you chills through your body. The second time it also kicks the song into a different gear, shifting into a heavy jam, followed by a nice little outro. I am a man who tends to miss my family and friends back home, so this song really resonated with me. I feel bad for anyone that it wouldn’t do the same for. The next track, “You Ain’t Alone” is able to draw out some of the most classic comparisons. Comparisons to greats such as Sam Cooke, Janis Joplin, and yes, even my friend Danny (as well as others) compare this sound to Otis Redding. It honestly fits the bill. I can’t believe how incredibly confusing this sound is to 2012. It falls in line perfectly with songs that were/could be on the soundtrack to The Sandlot, which is about as classic Americana as it gets. The album continues to pick-up, soften-down, and rarely disappoints. Plenty of fun quirks (“Goin’ to the Party”), some all out wails (“Heartbreaker”), and some more tear-jerkers (“Boys & Girls”). The whole album is soaking wet with reverb, but not in a bad way. It just further induces the feeling of old timey memories and classic sounds your parents used to listen too. With albums such as this, I feel the biggest complaint you will have is tracks running together or seeming a bit repetitive. I don’t necessarily feel that to be an issue, but I wouldn’t argue with someone that did. I personally like it because it gives the album a cohesive feel. The Black Crowes comparisons are a little hard to swallow. I understand where they come from, but it should be noted that these guys are much less duetchy than the Crowes. Also, I don’t really care how “classic” the Crowes claim to be or are said to sound, every album still sounds like it was recorded in 1995 to me. ^Decent band, but clearly douches. Not every track is a winner. It does slump with songs like “Be Mine” and “I Ain’t the Same” which seem to be filler tracks just sloppily tacked on to the end of the album. I’m not quite sure why they didn’t just make a shorter, more concise 9-tracker that displays their bread and butter, but you’ll have that I guess. Overall, it’d be hard not to enjoy this album. Finding music/musicians this talented, honest, real, raw, and classic in 2012 is simply rare. It’s not flashy, it’s not poppy, it’s not gimmicky. It just feels real, it feels comfortable, it feels familiar. 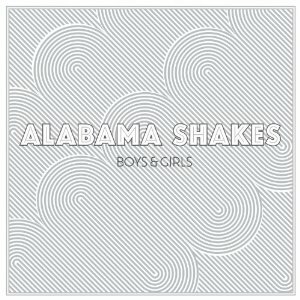 I hope the hype continues to grow and the Alabama Shakes don’t slow down. I can see them being a big hit a Bonnaroo and really taking off in the next year. Hopefully they can also continue to reproduce albums such as Boys & Girls as well. I just heard a comparison in which they were referenced as a modern band that does a good job of sounding like they were from the seventies. To me they sound like they are from the 90’s, but try to sound like they were from the 70’s, where as Alabama Shakes don’t have that problem. I’ve been reading quite a lot about Alabama Shakes recently. If you guys really like it, that is a recommendation for me. i like the Black Crowes too. Favourite track “Hotel Illness”. Also really like the live album they did with Jimmy Page – a mix of led Zep and the Crowes. 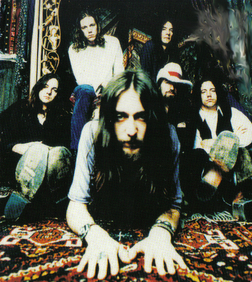 I’m here to throw my hat of support in the ring for The Black Crowes as well. Todd just doesn’t like them because they’re not from the west coast. Also, I once saw Chris Robinson do a lengthy monologue onstage about his love for Kate Hudson a couple months before their divorce. Classic.